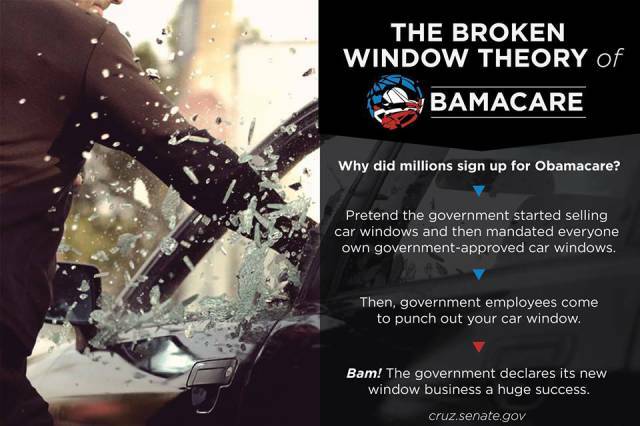 Pretend the government started selling car windows (health insurance) and then mandated everyone own government-approved car windows (government-approved health insurance). Then, government employees come to punch out (disable) your car window (your health insurance). Bam! The government declares its new window business (health insurance business) a huge success. Premise 3. The government destroys your health insurance.